Rail capacity at London Gatwick will “double” in the next five years with a train departing the airport every three minutes, it was claimed today. New rolling stock will be added to several railway lines to Gatwick in the next three years. In early 2016, new Gatwick Express trains, with 108 new Bombardier carriages “designed specifically for the airport passenger”, will enter service between LGW and London Victoria. The first new Thameslink trains serving Gatwick are due to be added to the Brighton to Bedford line next spring, according to manufacturer Siemens. From 2018, these trains will also run on two new direct services between Gatwick and Peterborough and Cambridge. Gatwick today said these upgrades will result in a doubling of train services to/from the airport. It said every hour there will be four Gatwick Express trains to Victoria; six other trains to Victoria; four trains to Beford via London Bridge; two trains to Cambridge via London Bridge; two trains to Peterborough via London Bridge; and two trains to London Bridge. 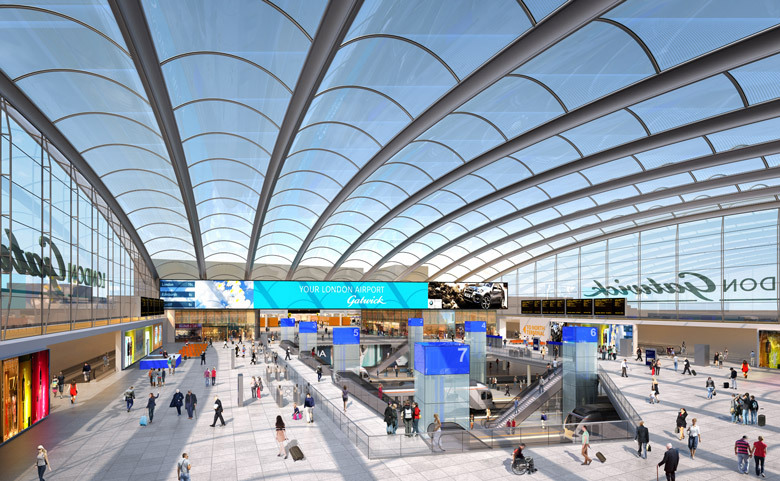 Gatwick’s train station will also undergo a £120.5 million refurbishment by 2020, more than doubling the size of the concourse area (see news, December 4). Guy Stephenson, Gatwick’s CCO, said: “The new high frequency service that will serve Gatwick will transform rail journeys for our passengers, with capacity doubling and a train to London every three minutes. Gatwick is currently campaigning for a second runway. It recently emerged that the Liberal Democrats are opposed to runway expansion at any airport in the UK, according to their election manifesto (see news, April 20).